My artwork is for inspiration and healing. Capturing the Soul of the Moment, I hike into the woods and take photos using natural sunlight. The sun calls me to a spot, I click the shutter, when I see that dancing light, peak light. These patterns are also called refractory patterns of light by scientists. I call them Jewels in the Water. 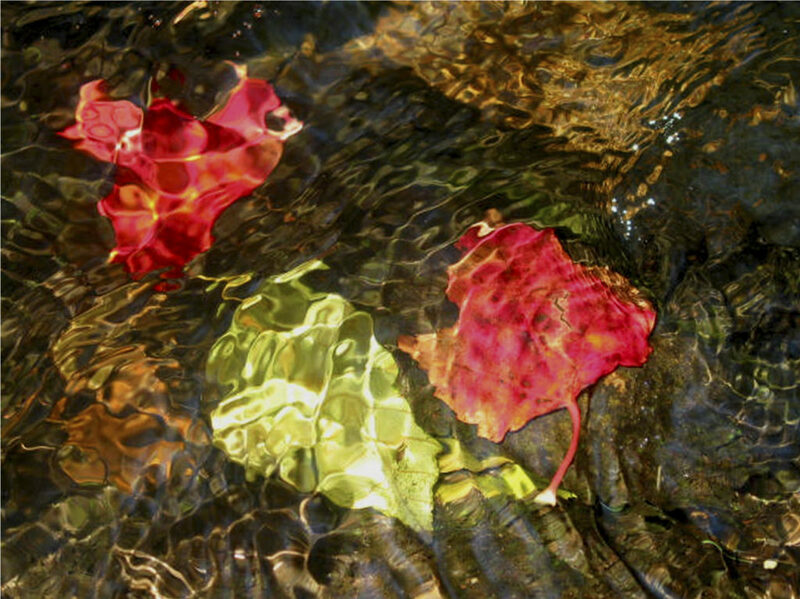 Red Cardinal was taken in the autumn, with colorful leaves in a shallow stream, near my home. I hope my impressionistic photography brings you great joy.